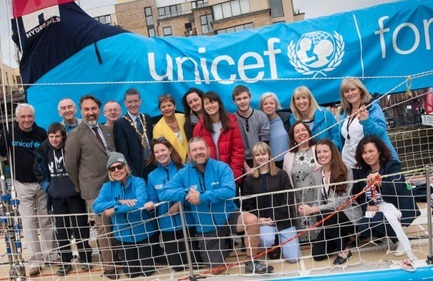 Western Outcomes Group launch UNICEF Project at Foyle Maritime Festival! The Western Outcomes Group in partnership with Derry City and Strabane District Council officially launched their joint partnership Child Friendly Communities Project with UNICEF in July 2018. The event was attended by local young people as well as the Northern Ireland Children and Young People’s Commissioner Koulla Yiasouma and the UNICEF Ambassador, Paul Clark from UTV. The launch saw the beginning of a partnership that will ensure that Derry City and Strabane becomes the first region in Northern Ireland that is a child friendly community based on the UNICEF principals. This entry was posted in Derry LPG, News, Strabane LPG, Western Outcomes Group and tagged L/Derry LPG, news/events, Strabane LPG, western-og by Stephanie Thompson. Bookmark the permalink.